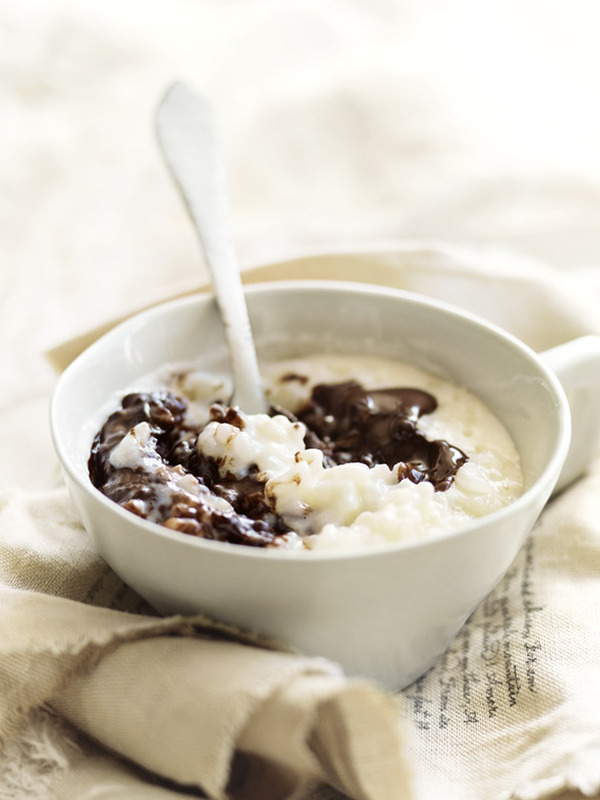 Follow the basic rice pudding recipe (below). Add the cream and orange rind to the cooked pudding and stir to combine. Spoon over the melted chocolate to serve.